EXXONMobil has shut down its Hides Gas Conditioning Plant in Hela following a magnitude 7.5 earthquake that struck in the Highlands early yesterday. The earthquake damaged ExxonMobil facilities in Hela and Southern Highlands, according to a statement from the company. “We are continuing to assess damage to our facilities in Southern Highlands and Hela provinces,” it said. “The Hides Gas Conditioning Plant has been safely shut down and our well-pads have been shut as a precaution until full assessments can be completed. “Preliminary reports from the Hides Gas Conditioning Plant indicate that the administration buildings, living quarters and the mess hall have sustained damage. The company confirmed that all its employees had been accounted for and that its emergency response plan was activated with works underway to mobilise support. 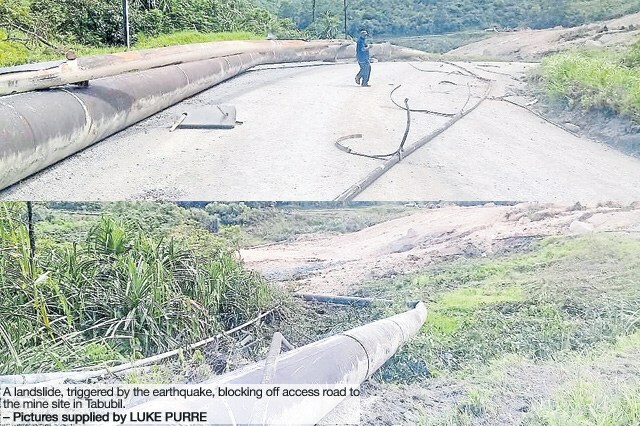 “Due to the damage to the Hides camp quarters and continuing aftershocks, ExxonMobil PNG is putting plans in place to evacuate nonessential staff,” it said. Oil Search Limited also said the safety of employees and contractors was the primary concern. It said all personnel had been accounted for and no injuries had been reported so far.